Cathedral Primary School is celebrating the official opening of the school in its new location on College Square. 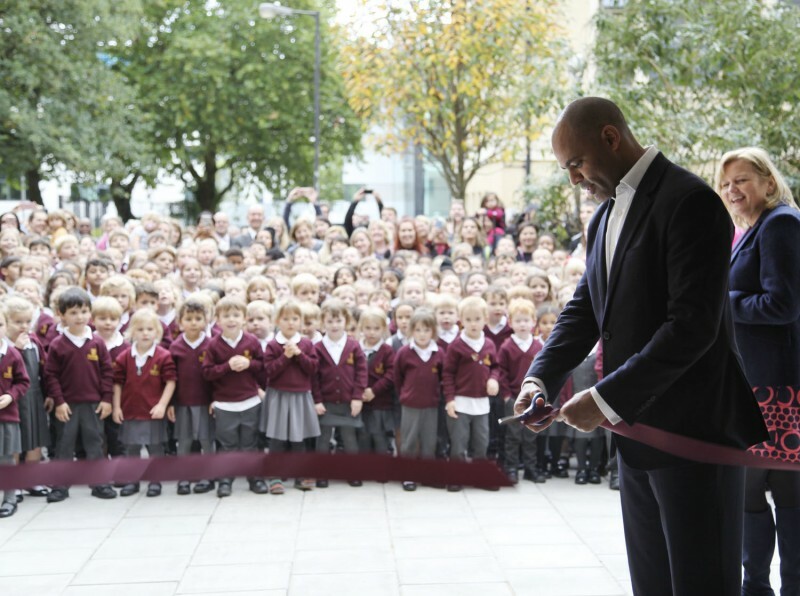 The building was officially opened today (13 October) by Marvin Rees, Mayor of Bristol, along with the children’s presenter Andy Day and children’s author, Laura James as well as other guests, staff and pupils of the school. The school is now housed in the lower floors of Bristol Central Library, a Grade 1 listed building built in 1906 and designed by the architect Charles Holden. The two-year programme to renovate the space is now fully complete, bringing a new lease of life to this part of the building. The new refurbished building offers high quality, modern facilities, with the design of the refurbishment reflecting the unique and traditional features of the building. The school is part of Cathedral Schools Trust – a new multi-academy trust with partner schools Victoria Park Primary School, Headley Park Primary School and Bristol Cathedral Choir School. The trust is set to open another free school “Enterprise School”, a much needed secondary school serving north Bristol. “Kier have built a huge number of schools, both locally and nationally. Each of these projects has come with its own particular set of challenges, but none have been quite as challenging as Cathedral Primary School.